We believe knowledge leads to understanding and understanding to acceptance and appreciation of another point of view. We have crystallized the definition of pluralism as, “respecting the otherness of the others and accepting the uniqueness of each one of us”. Pluralism is not a set of rules or a system like democracy, secularism, theocracy, fascism, authoritarianism, socialism, communism or capitalism, it is merely an attitude of live and let others live, and it is applicable in every aspect of life including culture, society, religion, politics, gender, food, ethnicity, race and other uniqueness’s. A majority of the conflicts we have in our day to day lives are not real conflicts that deal with our space, sustenance and nurturence, but intangilbe conflicts based on misinformation about each other. Over the years we have conducted several workshops called “Understanding religion, all the beautiful religions.” 26 workshops have been conducted thus far and more are planned. All our workshops are designed to demystify the myths about each one of us and prevent stereotyping others. We hope to mitigate conflicts and nurture goodwill in every aspect of interactions with youth, women, adults and Seniors of different faiths, races, cultures and orientations. The idea is when someone attends the workshops, he or she would be able to speak intelligently and without bias towards any of the religions, cultures, ethnicities.. etc. Please refer to our programs section. Where: Crowne Plaza Hotel on Midway/ Addison. 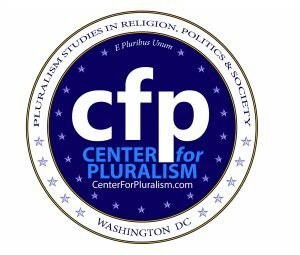 The Foundation for Pluralism is committed to promoting understanding between peoples of different religious affiliations. “We believe knowledge leads to understanding and understanding to acceptance and appreciation of another point of view”. The Foundation for Pluralism has taken the initiative to present all religions in its programs. The goal is to bring people of different faiths together and provide a platform for them to share about their beliefs, their systems and rituals, while expanding the knowledge zone of each group. We hope each one of us would walk out with an open mind and an open heart towards our fellow beings. It is difficult to shed the prejudices, but once we do, there is genuine freedom (Mukti, Moksha, Salvation, and Nirvana.) in it. Sikhism: Everything you wanted to know about Sikhism, you can learn about it in this workshop. Dr. Harbans Lal will be presenting the program. Sikhism was founded on the principle of service to humankind is service to the Creator God. They believe in one God who is creator and the protector and pray for the well being of every human. 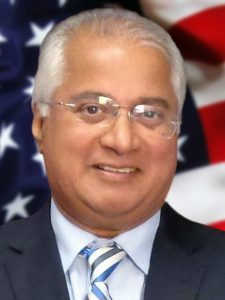 Dr. Harbans Lal is Emeritus Professor and Chair of Department of Pharmacology and Neuroscience at UNT Health Science Center and Emeritus Professor of Guru Nanak Studies at the Guru Nanak Dev University in India. He is President of Academy of Guru Granth Studies and member of Interfaith Council of the Thanks-Giving Square. Dr. Lal is known for his research in the areas of behavioral medicine, spirituality and health. He serves on many national and international advisory boards, and has published over 500 papers and book chapters. Dr. Lal remains active in many civic activities related to religion, culture and community services. In 1988, he was elected as the national president of Association of Scientists of Indian Origin in America. In 1995, he was awarded a Doctor of Literature (Religious Faculty), Honoris Causa, from the Guru Nanak Dev University, Amritsar, India. Directions: Click Map : From LBJ, north on Midway, after Spring Valley on the left. Dallas, Texas: – Sunday, July 1, 2007. The Foundation for Pluralism is committed to promoting understanding between peoples of different religious affiliations. “We believe knowledge leads to understanding and understanding to acceptance and appreciation of another point of view”. The Foundation for Pluralism has taken the initiative to present all religions in its programs. The goal is to bring people of different faiths together and provide a platform for them to share about their beliefs, their systems and rituals, while expanding the knowledge zoneof each group. 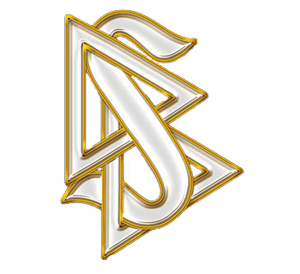 Judaism: Everything you wanted to know about the Judaism, you can learn about it in this workshop. As with all faiths, non-Clarity, myths and mis-information are part of Judaism as well. Please come prepared with questions, we would like you to walk out of the workshop with a greater understanding of Judaism. Church, how it emerged from and related to its Jewish background, and the history that surrounded the writing of the Gospels. Dr. Cohen has been studying history and religion at SMU’s department of religion and Perkins for over 30 years, and has been teaching Judaism to Christians and Christianity to Jews since 1975. Programs are the initiatives of: Foundation for Pluralism & World Muslim Congress Office : 2665 Villa Creek Dr, suite 206, Dallas, TX 75234 (972) 919-4466. Is attempting to undermine divinity of other faiths amount to arrogance? Does that appeal to God? Is blaming a religion, nation, race, or ethnicity for the acts of individuals’ amount to deception? Is holding greed, anger, hate, or malice in our hearts depleting our freedom? Is ridiculing a person amount to ridiculing the creator? Is judging others without knowing them personally amount to _________ (fill in Please)? Is God free or some group owns him/her? Are we not limiting its _________ (fill in Please)? Does God make deals behind our back and favor some? Could God do such a thing? In affairs of the world, religion appears to be a source of the problem; it certainly is not. You can always trace the wars, genocides, oppression and other atrocities to evil insecure stupid men. Please remember, the purpose of religion was to fix the evils of humankind and it continues to do so while some men still don’t get it. Thanks God, the world is a better place today because of the Religion and spirituality, without which there would be chaos. Every Religion is on the same side, that of goodness for humankind. Finding the truth is one’s own responsibility. Truth brings salvation.